Yes, once again I've posted an outfit that consists of denim, denim, and more denim. Soz but double denim is my absolute fave at the moment. I'm just happy denim and double denim and all things denim is in fashion this season, because I can wear it to my hearts content and still be cool. 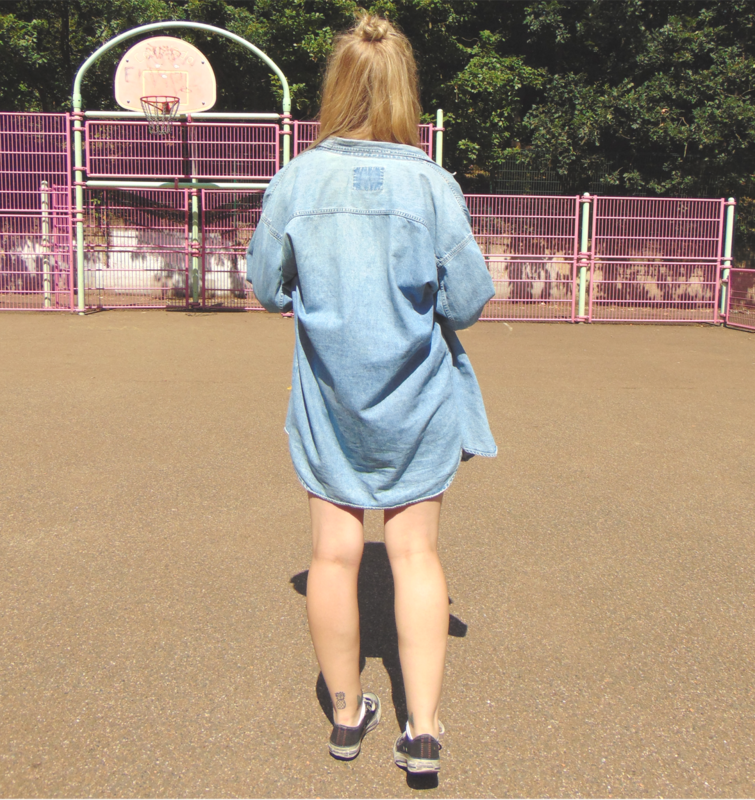 This oversized denim shirt has been a staple in my wardrobe for years. I find it's so easy to throw over practically anything, and it adds that little extra to an outfit. I've also finally had my hair. It looks soooo much better. Can you tell? I've been putting it off for so long, because no offence to hairdressers, but having my hair washed and two inches removed from it should not cost almost £40 - why so expensive??? p.s. here is my collection of double denim outfits so far. No regrets, I love them all (here, here, and here). Love a good bit of denim! These pieces go so nicely together too! I love denim! It looks good, love the shorts! Absolutely inlove with yout grungy style! Ha I've always loved denim on denim!! I don't know why there's a thing about it, think it looks effortlessly cool :) Love your sunnies btw! Love this outfit and your style! Ugh, I totally feel the struggle of hairdresser bills! I've cut my hair for the longest time because I don't want to spend the money to get it done, haha! Love your all-denim outfit, by the way! Can't go wrong with denim!! 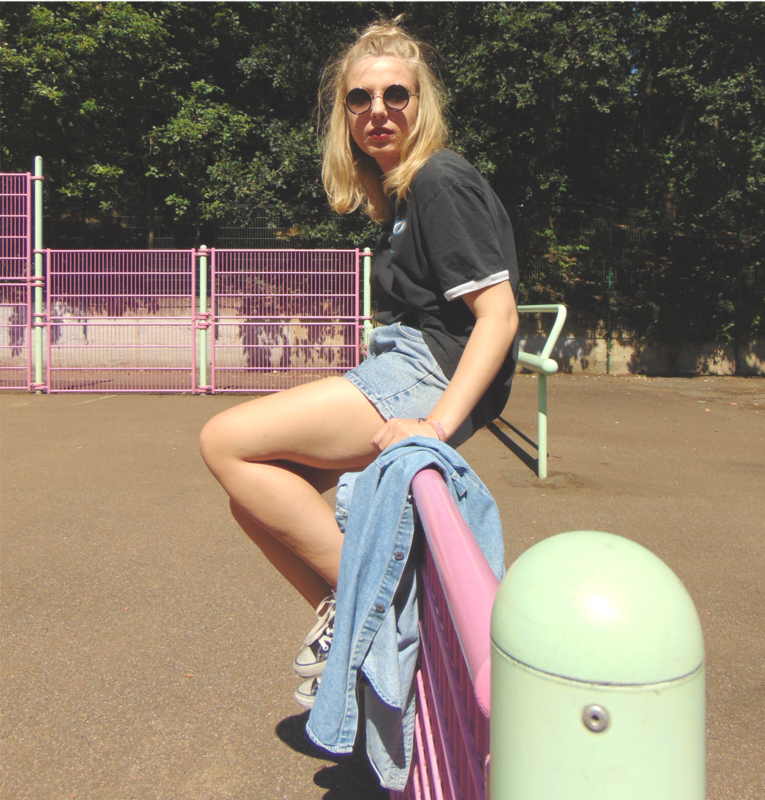 This outfit looks great, I love some double denim! Also, those sunglasses are beaut! I adore this outfit and I love that it isn't overpowering denim wise! I love wearing denim so this denim look is perfect!! :D :D I really like the style and fitting of the denim shirt especially. What a cool laidback outfit! Damn, you rock this outfit so well! The glasses definitely add that extra edge. Super hot. You look great. Love the denim shirt. 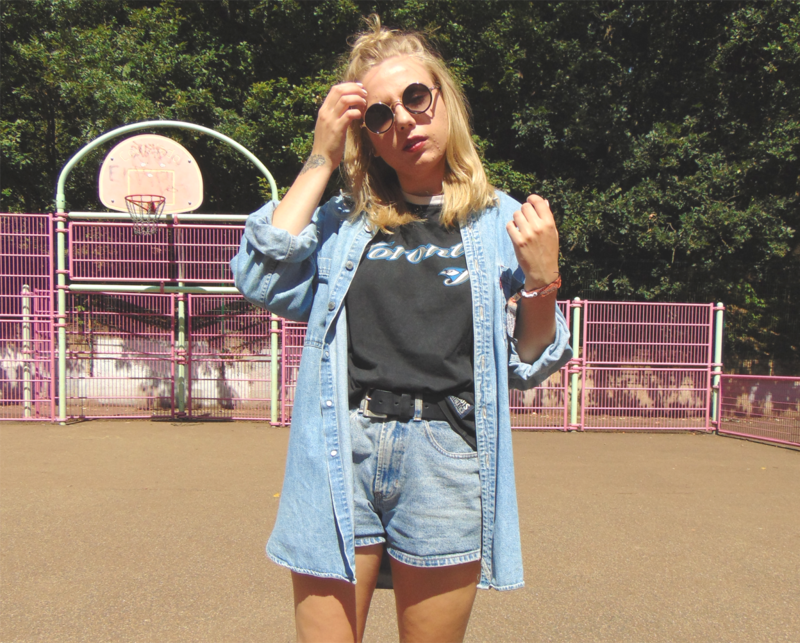 All about that denim girl, you pull it off and style it so perfectly! Can we just change your name to 'Queen of ringer tee'?! I'm a big fan of double denim! Looking great. I love the double denim look!